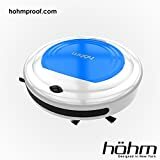 EARLIER: The HÖHM DIRTBOT 2.0 Robotic Vacuum Cleaner doesn’t come with the same type of name recognition as iRobot’s Roomba lineup, but don’t let that deter you. 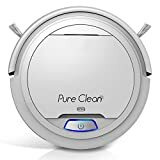 This is one of the best robot vacuums you can get at the $200 price point, and it has been very popular with our readers in the past. Well if you thought it was a good value at $200, today’s Amazon sale is going to blow you away. Until supplies sell out, Amazon is offering this hot robot vacuum cleaner for just $79.95. There’s a good chance it’ll be sold out by the end of the day, so definitely grab one while you can.